The Xperia Z1 was just unveiled last September, but given Sony’s recent product cycle of releasing a new flagship handset twice per year it likely won’t be long until the rumored Xperia Z2 hits the market. Today, the first photos of the Japanese company’s next major smartphone may have leaked online, showing the back casing for a purple copy of the Android device. The latest leak, and our first unofficial look at the Xperia Z2, apparently comes from Sony’s R&D department, meaning this may still be an early prototype. However, the anonymous tipster claims Sony will announce the device next month, adding that the new smartphone will feature a 5.3-inch display, a 23-megapixel rear camera, and come in five color options. The latest specs slightly contradict earlier reports, which claimed the Xperia Z2 would sport a 5.2-inch 2560 x 1440-pixel display and the same 20.7-megapixel camera found on the Z1. The device is also expected to pack a 3,700mAh battery, a Snapdragon 800 processor and run Android 4.4 KitKat out of the box with Sony’s added UI on top. 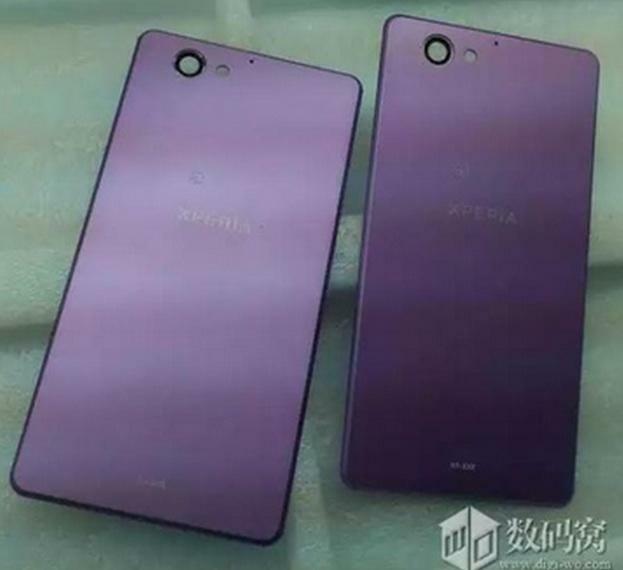 Based on the latest Xperia Z2 news we’re not sure exactly what to expect from the upcoming smartphone. Either way, we’re sure Sony’s next flagship will offer some solid improvements over the already-impressive Z1.